The San Diego Padres are still of interest to Japanese star Shohei Ohtani, but how long will that last? 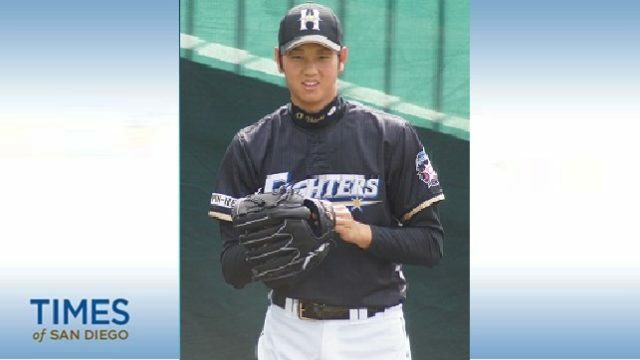 On Friday, MLB owners ratified an agreement with Nippon Professional Baseball that allows the Hokkaido Nippon-Ham Fighters to make Ohtani available in the United States next year. Interested American teams have to pay a $20 million fee for the rights to negotiate with the hot property, who has just 21 days to bargain, according to published reports. At least 30 MLB teams are courting the 23-year-old sensation — who pitches and plays outfield in Japan. He too has been scouting the MLB and has already crossed several clubs off his list, including those in New York, Boston and Oakland. On Sunday it was also announced he would not be signing with the Minnesota Twins. Ohtani is interested in West Coast teams; San Franciso, Seattle, Los Angeles and San Diego remain in the running, according to reports. “Ohtani, who can throw 100 mph and hit for power, would like to continue playing both ways in the majors. The Padres are a team more than willing to accommodate an experiment, which they did, albeit unsuccessfully, with catcher/reliever Christian Bethancourt. Ohtani’s potential is such that any remaining suitor has entertained the unconventional,” The San Diego Union-Tribune reported. Because of his current age and Nippon Professional Baseball contract, Ohtani is subject to more modest bids in America. If he wants to wait for his contract in Japan to run out in two years — and barring no significant injury — he would be 25 years old and undoubtedly able to command a very high price tag at that time. The Ohtani upside potential is significant, but questions remain. The baseball world will have more answers by Dec. 22 — the date Ohtani must decide where in the MLB he might go.